I've tried, more than once, to catch a spectacular sunset behind the world famous Hanalei Pier on the island of Kauai in Hawaii. Finally got this shot. Shooting, directly into the sun, pushes even the best camera technology to the limit... but, I think I was able to bring all the elements of this beautiful scene together into the image I've tried to acquire for quite some time. 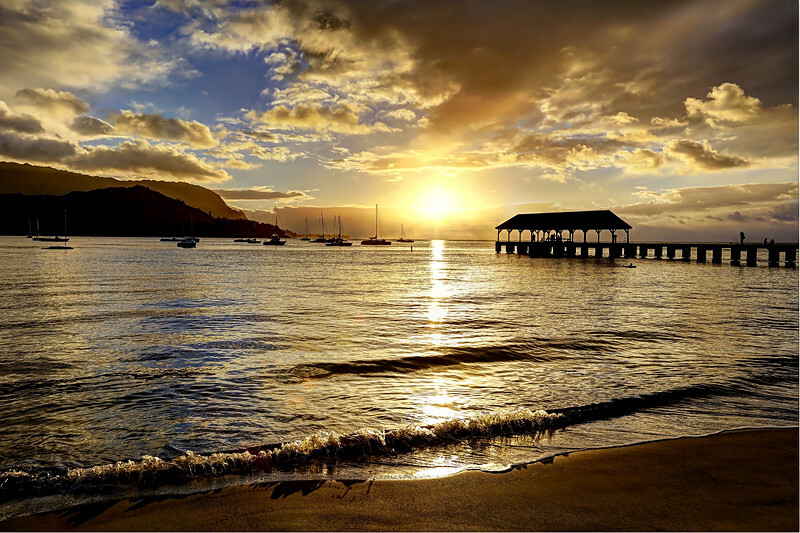 The sunsets, at Hanalei Bay, are truly something very special!